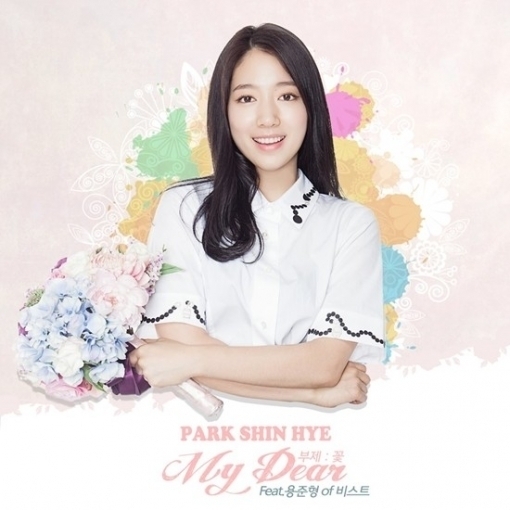 Actress Park Shin-hye captured her audience’s hearts with the sweet and appealing voice of a girl who confesses her love to a boy in a new song, “My Dear,” released on Wednesday. A distinctive feature of “My Dear” is that Park’s brother, Park Shin-won, composed the song and the duo wrote the lyrics together. Moreover, the rhythm guitar in the song was played by Park’s brother. K-pop boy group B2ST’s Yong Jun-hyung was featured in the song. Park also starred in the music video of “My Dear,” completing her debut as a singer by showing her true colors.